Money & Dating #1 — Peace of Mind Financial Planning Inc. If you’re dating with the hope of being in a committed relationship, it’s a good idea to be aware of signals about how your companion handles financial matters. In a long term relationship, your individual finances will impact both of you, even if you keep your finances separate. In the early stages of dating, you’re enjoying getting to know each other and doing special things on dates – even trying to impress each other. So you’re probably spending money on entertainment and trips that aren’t necessarily affordable long term. When the two of you start talking about a future together, it’s time to pay attention to finances, too. Many people are uncomfortable talking about money, but you don’t need to start with a big, serious discussion. Maybe it begins with giving some ideas of cost efficient activities – making dinner together instead of eating out, watching a movie at home instead of going to a theater, a day trip instead of going away for a weekend. At some point in a good relationship, you’ll be able to have some discussions about money. If you plan to be together long term, you’ll want to be able to both stay financially sound and plan activities together that take that into consideration. You both need to have an emergency fund, save for retirement, and avoid consumer debt. You don’t necessarily need to disclose to each other what you make, but you can benefit from a discussion about what you can each afford to spend. This may be a moving target so keep the lines of communication open. Many relationships work well even if both people don’t have the same financial situation. But you do each need to do what you can afford. Don’t try to match what your significant other spends if you can’t afford it. You can both benefit from agreeing on how to structure things. Some people feel like it keeps things simple to just live together rather than get married. Marriage does formalize things, but that can have positive aspects. If you move in together without getting married, consider having a co-habitation agreement. Even if you don’t intend to own a home together or have joint accounts and want to take a “what’s mine is mine – what’s yours is yours” approach, a simple agreement document your intentions can simplify things if you break up. Ideally, you each have an attorney help draw it up or look over what you’ve written. Any committed relationship needs to have good communication and honesty. There are multiple aspects to being involved with someone – intellectual interests, common values, and enjoying similar entertainment. 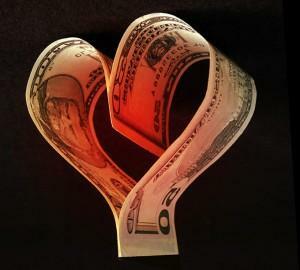 Money issues are part of any relationship and shouldn’t go unaddressed. If you can’t be true to your own financial situation and open with the person you’re dating, perhaps it’s not the right relationship for you, or at least not the right time.